Subway pips McDonald's, but appetites for better nutritional information and social responsibility remain unsatisfied. As McDonald's ramps up its expansion into China, new figures show rival chain Subway is the fast-food restaurant with the best reputation. In PRWeek/OnePoll's latest survey, 21 per cent picked Subway while McDonald's came a close second with 20 per cent of the vote. Pizza Hut and Domino's both eclipsed Burger King and KFC. Thirty-two per cent saw McDonald's as offering the best value for money, but 40 per cent saw Subway as the most health conscious and 28 per cent said the sandwich chain used the best quality produce. Despite a McDonald's campaign to improve perceptions of how it treats its staff, only 24 per cent believed working conditions had improved since the term 'McJob' entered the dictionary in 2001. Forty-nine per cent were unsure if things had changed while 27 per cent said they had not. However, 19 per cent saw McDonald's as the firm that treats its staff the best. Consumers were negative about the fast-food sector in general, with 53 per cent saying none of the firms were environmentally friendly. In total 73 per cent of people did not think fast-food restaurants took enough responsibility for obesity in the UK. Sixty-eight per cent said they had an impact on UK obesity levels. A considerable 76 per cent of respondents believed fast-food restaurants should display calorie information. This rose to 80 per cent for salt, sugar and fat content disclosure. Forty per cent said this would help them to choose healthier options. Following reports in March that Subway has overtaken McDonald's in its number of outlets worldwide, it's no surprise that the 'Eat Fresh' sandwich store has fared well throughout this poll, coming up trumps in reputation, quality and health. Nonetheless, from the brink of the reputational abyss where McDonald's found itself a few years ago, these figures show some improvement. Then, unfavourable coverage of McDonald's practices, coupled with the chain's supposed negative contribution to the nation's health, severely impacted on the brand reputation. Today, with McDonald's diversified menu and CSR at the heart of brand communications, these figures make better reading. However, it is a wake-up call to all of us to see the lightweight response from consumers to media reports on the obesity crisis. There is a job to be done in promoting responsible eating; the question is whether this is down to the brand or the Government? WHICH OF THE FOLLOWING ... HAS THE BEST REPUTATION? WHICH OF THE FOLLOWING ... OFFERS THE BEST VALUE? WHICH OF THE FOLLOWING ... IS THE MOST ENVIRONMENTALLY FRIENDLY? 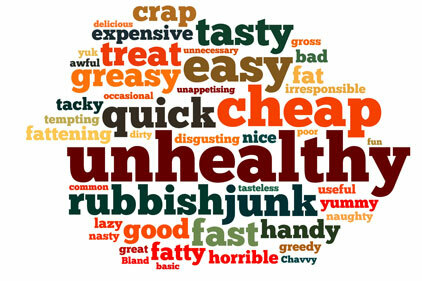 WHICH OF THE FOLLOWING ... IS THE MOST HEALTH CONSCIOUS?